Jeff Raz has worn a lot of big shoes. 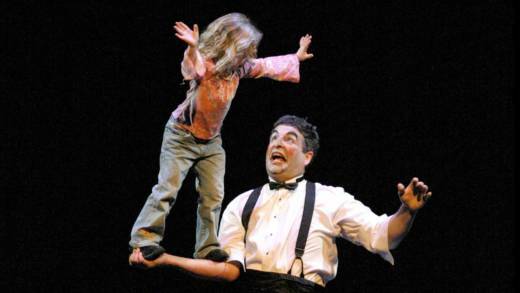 He toured with Cirque Du Soleil’s “Corteo," worked with the influential Pickle Family Circus and co-founded the Clown Conservatory, a professional clown training program at the San Francisco Circus Center. Raz joins us to discuss his new book “The Secret Life of Clowns: A Backstage Tour of Cirque Du Soleil and The Clown Conservatory,” and to answer your questions about what goes on behind the curtain, and under the big red nose.